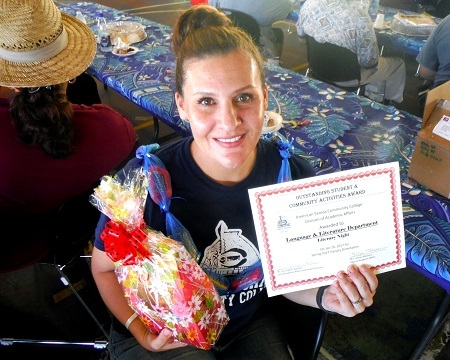 As part of its faculty orientation held at the beginning of every spring and fall semester, the American Samoa Community College (ASCC) held its 3rd Annual Faculty Recognition Awards Ceremony last week to highlight the achievements of both individuals and departments over the last twelve months. Fresh from a morning of orientation activities that included a detailed tour of the Agriculture, Community and Natural Resources (ACNR)/Land Grant facilities, the ASCC faculty were welcomed to the lunchtime ceremony by ASCC President Dr. Rosevonne Makaiwi Pato, whose opening remarks included the analogy of a teaching career being like an electrical battery, or in other words, something that needs to be kept properly charged. Director of Curriculum & Assessment Mrs. Evelyn Gibbs-Fruean next announced the recipients of the Individual Special Awards for Student Centeredness, celebrating the efforts of faculty who organize extracurricular activities to enhance the learning experience for ASCC students and/or their fellow instructors. These awards were presented to Dr. Faofua Faatoafe, advisor for the Business Ambassadors of ASCC (BAOA); Mrs. Rosie Ah Chee Toeava, advisor for the Law Justice Club; Mrs. Elisapeta Faalafi-Jones, Christian Club advisor; Mr. Poe Mageo, chairman of the Faculty Senate; Mr. Kuki Tuiasosopo, Phi Theta Kappa honor society advisor; Mrs. Regina Meredith-Fitiao, leader of many art projects involving students; Dr. Daniel Chang, EXITO Club advisor; Mr. Derek Helsham, Psychology Club advisor; Ms. Lele Ah Mu, AHEC HOSA Club advisor; Mr. Evile Feleti, Student Association for Fa’aSamoa advisor; Dr. Randel De Wees, LSAMP and Marine Science advisor; and Mrs. Feleni Petelo Alainuuese, Lumana’i Teachers Club advisor. The next awards for Outstanding Student and Community Activities were given to seven academic departments within the College that organized activities involving students which also benefited the general public. 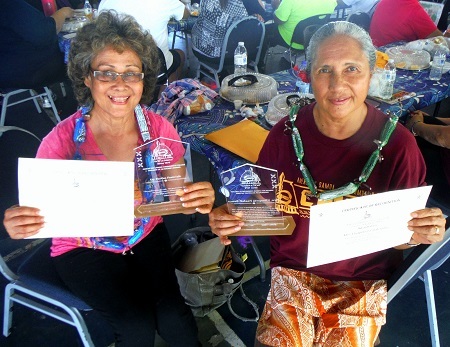 Called to accept these awards were the chairpersons of ACNR/Land Grant; Business; Criminal Justice; Fine Arts; Health and Human Services; Language and Literature; and the Samoan Studies department. 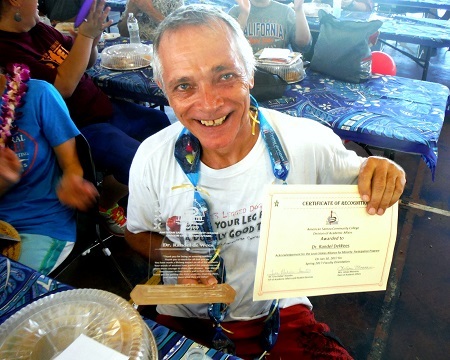 Third in the awards category was recognition of the departments with the best record for monthly meets, and these were presented to Criminal Justice; the English-College Accelerated Preparatory Program; and Language and Literature. The program continued with recognition of the longest-serving faculty and academic administrative staff at ASCC. First to be recognized were faculty and staff who have served for 35 years or more. Celebrated for their well-earned achievement were Mrs. Elisapeta Faalafi Jones, Mr. Ed Imo, Mr. Laau Liufau and Ms. Cherylmoanamarie Ripley. Also recognized for 20 or more years of serving the College were Ms. Sinaitaaga Mose Peni; Dr. Faofua Faatoafe; Mrs. Regina Meredith-Fitiao; Ms. Lele Ah Mu; Mr. Tunufai Leiato; Mrs. Ethel Sokimi; and Mrs. Lilian Temese. In the next portion of the program, recognition was given to the administrators who guide the College’s overall efforts to fulfill its Mission. 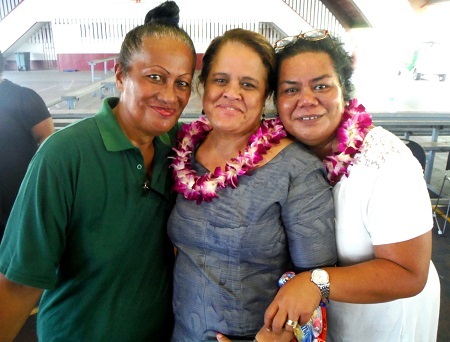 These individuals, who received tokens of sincere appreciation, included President Dr. Rosevonne Makaiwi Pato; newly appointed Vice President of Academic and Student Affairs Dr. Lina Galea’i Scanlan; Vice President of Administrative Services Dr. Mikaele Etuale; newly appointed Director of Teacher Education Ms. Shirley De La Rosa; Dean of Student Services Dr. Emilia Le’i; ACNR Director Aufa’i Apulu Ropeti Areta; SSI Director Mrs. Okenaisa Fauolo Manila; Adult Education, Literacy and Extended Learning Director Mr. Tauvela Fale. The last set of awards, for assisting the Academic Division in providing workshops/trainings to the faculty, were presented to Office of Institutional Effectiveness Director Mr. Sonny Leomiti; Registrar Officer Mrs. Sifagatogo Tuitasi; University Center for Excellence in Developmental Disabilities Director Ms. Tafaimamao Tupuola; and Financial Aid Manager Mr. Peteru Lam Yuen. For more information on ASCC, visit the College’s website at www.amsamoa.edu.